After this Windows 10 boot screen the display goes blank without a mouse cursor. So you upgraded your X201 from Windows 7 to Windows 10 even though it’s not in the listed on the Lenovo supported models page. Since Windows 10 by default does not enable the F8 option any more, you need some more severe measures. Then I had to burn the ISO. Which was a bit picky because most of my infrastructure is VM based and none of the physical machines had a DVD or CD-drive any more. Luckily I found a LiteOn SLW 831SX which Windows detects as Slimtype DVDRW SLW-831S USB Device. ImgBurn worked with that (elevated to Administrative mode that is: it requires that both for burning and grabbing an ISO image). Upgrading the BIOS went fine, but the symptoms stayed. Removing the battery for a while, then reinserting was suggested at one of the sites. It didn’t help. If the system can’t load the necessary configuration more than two times, the system will direct the display to Windows RE(Recovery environment). Source: Windows 10 – How to enter Safe Mode if I can’t boot the system successfully? They also have: Windows 10 – If I can’t enter the system, how can I restore the Windows 10 laptop or PC to default settings? Wait for it to reboot twice. This didn’t work as well as I hoped as now I was at the failure point as well. But now at least I had a starting point to trip Windows into booting any way I wanted. I now only had to find which function key would get me into a state where I could see what was going on. And the good things: The “Diagnosing your PC” only required one ‘manual power down” to appear. F3 finally got me to the VIDEO_DRIVER_INIT_FAILURE (BSOD STOP 0x000000B4) which indicated the machine was so hosed that I had to to a clean install. 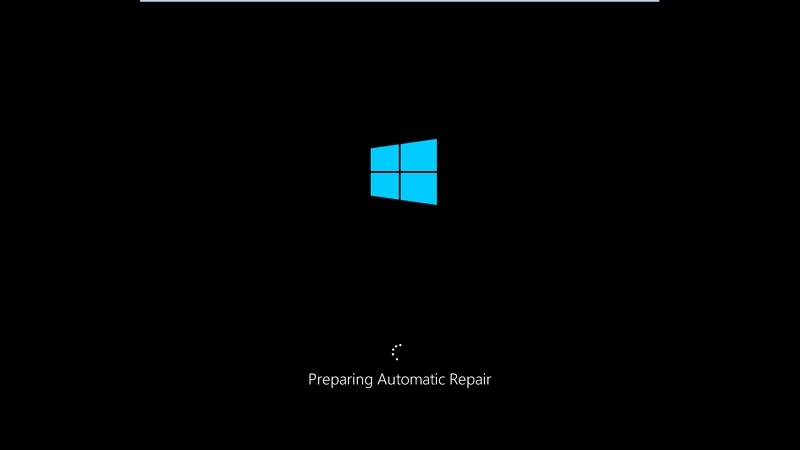 Automatic Repair – wiggle with the mouse and you have a cursor too! This entry was posted on 2016/06/10 at 12:00	and is filed under BIOS, Boot, Power User, ThinkPad, UEFI, Windows, Windows 10, Windows 7, X201. You can follow any responses to this entry through the RSS 2.0 feed. You can leave a response, or trackback from your own site.